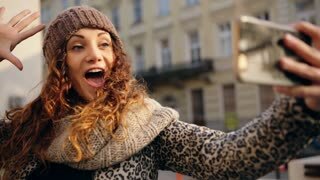 A very positive young pretty woman taking selfies in the street. 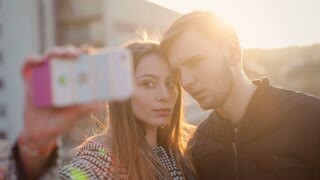 Young happy couple taking selfies in the street . 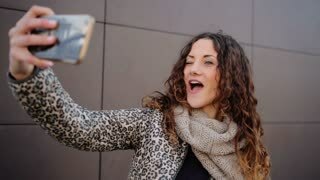 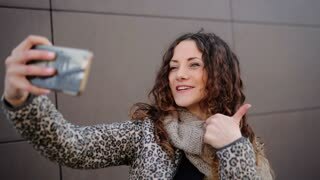 Attractive smiling woman taking selfies in the street.